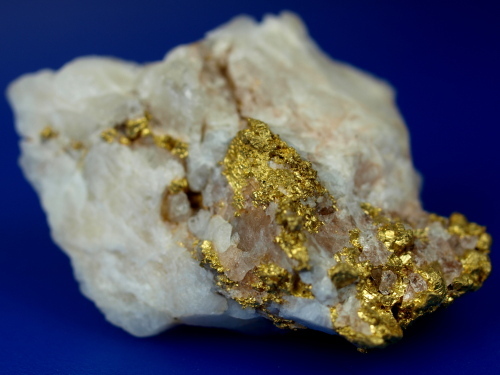 Here is a gorgeous piece of natural gold in quartz from Calaveras County, California. 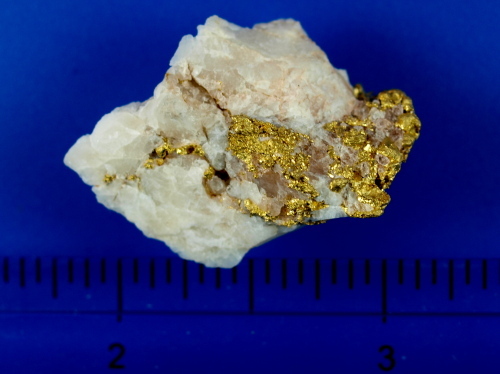 It weighs 18.41 grams total, and a specific gravity test indicates over 11.50 grams of gold within the specimen. 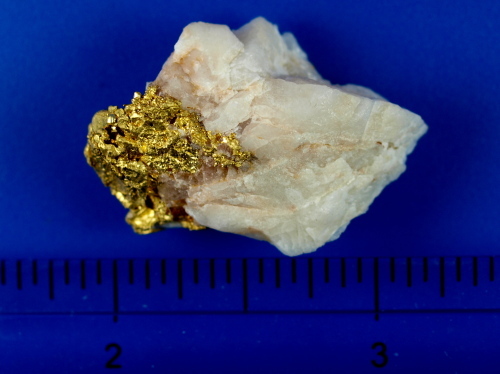 Has a very attractive chunk of gold that displays beautifully on one end. Would make a fine addition to any fine mineral collection.